CB5P Double Door Pesticide Storage Cabinet supplied with one free shelf. 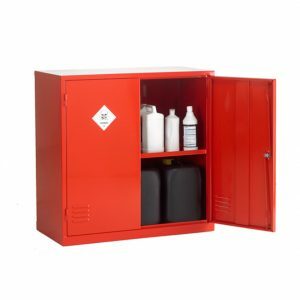 Suitable for the storage of any pesticide based products. 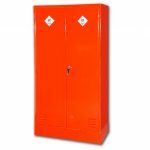 Built from 20 gauge steel, all eight corners are welded for strong leak proof storage. 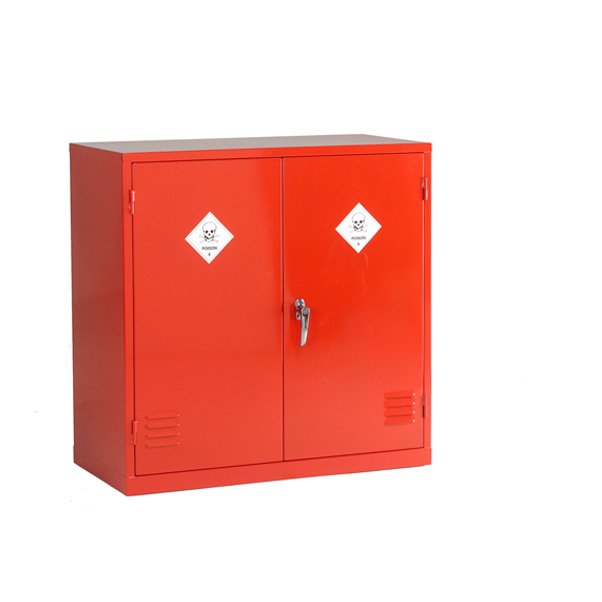 Finished in red epoxy polyester powder coat; and are supplied complete with warning labels. SKU: CB5P. 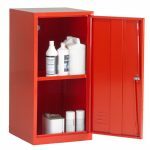 Categories: Pesticide Storage Cabinets, Pesticide Storage Double Door Cabinets. Chrome handles with twin locking rods, 2 keys supplied, spare keys available. 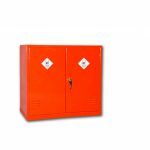 Adjustable shelves at 25mm increments, so you choose the position you require. 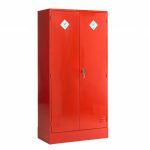 Stands and spare shelves available for all cabinets. SC Cabinets © 2019. All Rights Reserved.